A campaign spat draws attention to sky high property prices. Those paying close attention to the relationship across the Taiwan Strait might be feeling disappointed because the ongoing presidential and parliamentary campaign has been rather uneventful in this regard. The Democratic Progressive Party’s presidential frontrunner, Tsai Ing-wen has adopted an ambiguous position on how she’s going to maintain the status quo across the Taiwan Strait. “Status quo” is quite a vague term itself, and so is the “1992 consensus,” that Tsai did not even refer to during her visit to the United States. By not allowing the Chinese Nationalist Party (or Kuomintang, the KMT) to set the narrative of the campaign, Tsai has focused her efforts on “bread and butter” issues. Given Taiwan’s electoral fatigue after two consecutive terms of a KMT government, it was a safe play, as demonstrated by the DPP’s lead in the polls. Unsurprisingly, Taiwan’s housing problem tops the list of Tsai’s main policy concerns. In one of her speeches, published by the Thinking Taiwan think tank, Tsai says: “A home is a place to live, not a tool for financial speculation. Home ownership should not be an impossible dream for our citizens.” This is a catchy phrase given that 90 percent of the families living in the Taipei metropolitan area cannot afford to buy their own apartment. Tsai Ing-wen’s political camp decided to go a step further, accusing the KMT’s vice-presidential candidate, Wang Ju-hsuan, of property speculation. Wang, argues the DPP, used her family members as proxies for the acquisition of seven different properties. In return, Wang filed a defamation suit against Tuan Yi-kang, the DPP legislator who made the accusations. But the fighting did not end there. It escalated when the KMT decided to dust off an old case that dates back to 1988 by accusing Tsai Ing-wen of land speculation. According to a former KMT legislator Chiu Yi, the acquisition occurred when Tsai was merely 33 years old and had only served as an associate professor at the National Chengchi University for three years. 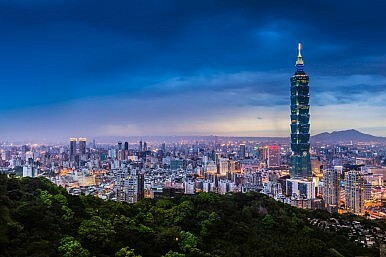 A few months later, in August of the same year, the Taipei City Government included the land Tsai bought in a redevelopment zone and imposed a ban on construction and property sales. Chiu added that the value of the land had increased by a factor of 13 by the time Tsai sold it nine years later, guaranteeing her a profit of 180 million NTD ($5.5 million). In response to the allegations, the DPP filed a lawsuit against the KMT and called on its chairman and presidential candidate, Eric Chu, to take a position on the issue and apologize for his party’s spreading of what they call “false accusations.” And this is where the plot takes another twist, into comedy. In response to the DPP’s lawsuit, the KTM filed another lawsuit, this time alleging a false accusation against the Democratic Progressive Party spokesperson Huang Di-ying. Although the soap opera is unlikely to have a significant impact on the election outcome, it should not surprise anyone that the alleged speculation has turned into a new electoral battleground. That is because Taipei has some of the highest property prices in the world, at least as a proportion of income. According to information published last year by Taiwan’s Ministry of Interior (MoI), it would take 15 years of savings (without any expenses!) for a person with an average salary to be able to buy an apartment. That’s even more than in Hong Kong (14.9 years), which is again trailed by the New Taipei City (12 years). The situation in Hong Kong can be – to some extent – explained by the Special Administrative Region’s geographical limitations, but the surging property prices in Taiwan, which is roughly the size of Belgium, are simply caused by speculation, property hoarding by the wealthiest, and the government’s inability to deal with the chronic disease. The traditional concept of 有土斯有財, which roughly translates as “whoever has land, has money,” only makes matters worse. According to MoI estimations, there were 65,000 empty housing units in Taipei in 2014, accounting for over 7 percent of the capital’s housing units. The total number of empty housing units nationwide was close to 850,000, exceeding the ratio of 10 percent. It’s not uncommon for those in a better financial situation to own a few properties, but in extreme cases, wealthy Taiwanese families own a couple dozen apartments. As property prices have risen continuously for years, there was little incentive for cashing out the investment, and the vicious circle inflated into a speculative bubble. To deal with the problem, in 2011 the government imposed a so-called luxury tax of 10 and 15 percent on real estate sold within two years and one year, respectively. The policy failed to deliver a long-term solution to the problem of property hoarding. The most affluent people could afford to hold onto the investment for more than two years and avoid the additional taxation. Therefore, further measures were taken and new legislation was adopted in June 2015. The amendments will take effect with the start of 2016, but have already stirred up the housing market. The new Real Tax Regime will replace the luxury tax with the following levies: 45 percent (if sold within one year), 35 percent (between 1-2 years), 20 percent (between 2-10 years), and 15 percent (after 10 years). Homeowners who have been occupying their property for more than six years will be eligible for relief. It is clear that the accusations made by both the DPP and the KMT are politically motivated. After all, the cases were brought into the light because of the ongoing electoral campaign. But whether or not there is any merit to what the political camps are arguing, the property issue is a real concern for voters and the housing bubble problem in Taiwan is finally at the top the political elite’s agenda. Whether it will stay there after the elections is another matter. If elected, Taiwan’s DPP may form a government as diverse as any in the West.